National Association for Family Child Care (NAFCC) is a professional membership organization for family child care providers. NAFCC offers accreditation, professional conferences, newsletters, and public policy updates, among other things. 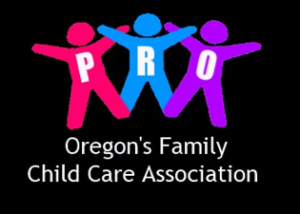 PRO is a statewide non-profit information and support organization of family child care providers in the state of Oregon. It is open to all child care providers statewide. Oregon AEYC is an affiliate of the National Association for the Education of Young Children and serves over 1300 early childhood professionals in the state of Oregon. OregonASK provides training and resources to education and community organizations to equip them with structured, educational, and enrichment opportunities for students. These organizations provide services to students before school, after school, on weekends, during school breaks, and during summer vacation – any time the students are out of the regular school day. Oregon Association of Child Care Directors (OACCD) is a nonprofit, grassroots organization founded in 1980 by child care directors in Oregon. We support professional development by enhancing the abilities of child care directors, supervisors, and program administrators through Advocacy, Education, and Support. ACSI Membership connects your school with a community of Christian educators, along with tools, services, and professional development opportunities. The Oregon Montessori Association has been serving Montessori teachers, administrators, assistants and parents for over thirty years. Through annual events and outreach efforts, OMA supports Montessori schools and shares guiding principles with the community. 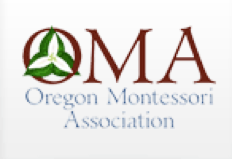 Help support the work of the OMA as we continue to advance the Montessori movement in Oregon, Southwest Washington…and beyond.